Welcome to 5905 High Ridge Circle, A Country Classic. 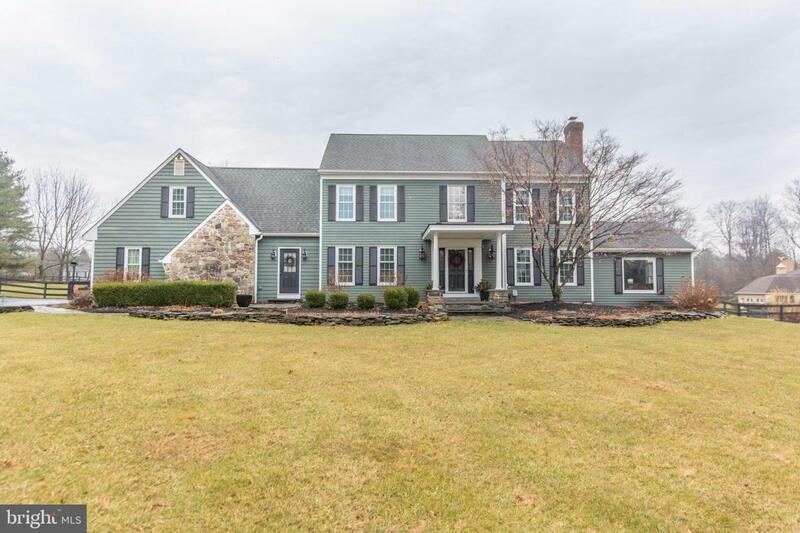 Situated in the heart of Solebury Township this sophisticated Bucks County Colonial has been tastefully updated throughout. 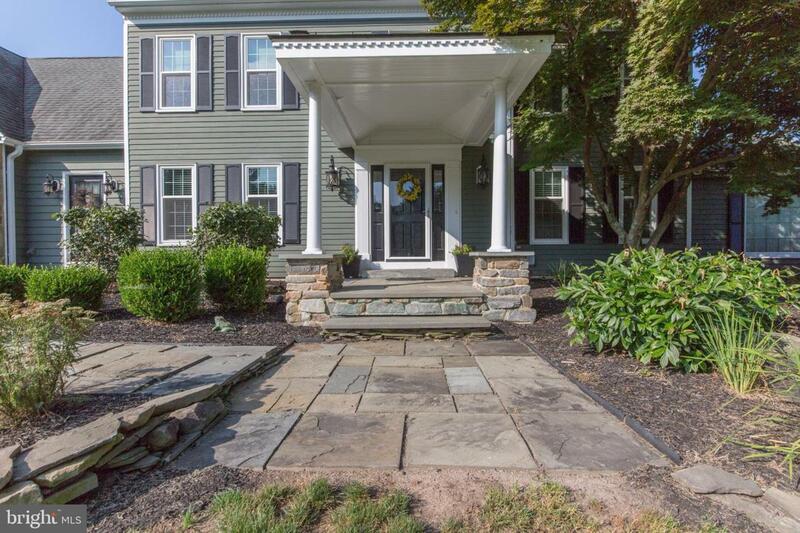 Great curb appeal with flowering beds, bluestone walkways and fieldstone finishes. Once inside the attention to detail is evident. Beautiful hardwood floors add to the inviting and open floor plan. 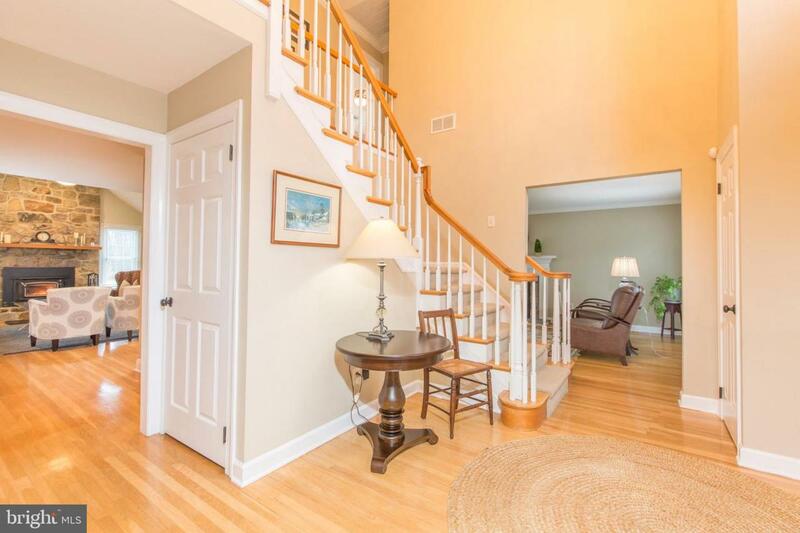 The 2-story foyer is flanked by a well appointed dining room with chair rail and wainscoting and a formal living room. A wonderful bonus room can serve many needs with its wall of built-ins and windows as it could be a den/office/conservatory/game room or library. The focal point of the gracious Family Room is the handsome stone fireplace with wood burning insert that instantly creates a welcoming glow to the space. This opens to the renovated Kitchen with clean white lines and boasts custom cabinetry, granite counter-tops, glass tile backsplash, underlighting and GE Profile stainless steel appliances. There is a Morning or Breakfast Room with garden and pool views. Upstairs a masterfully appointed owner's suite awaits. 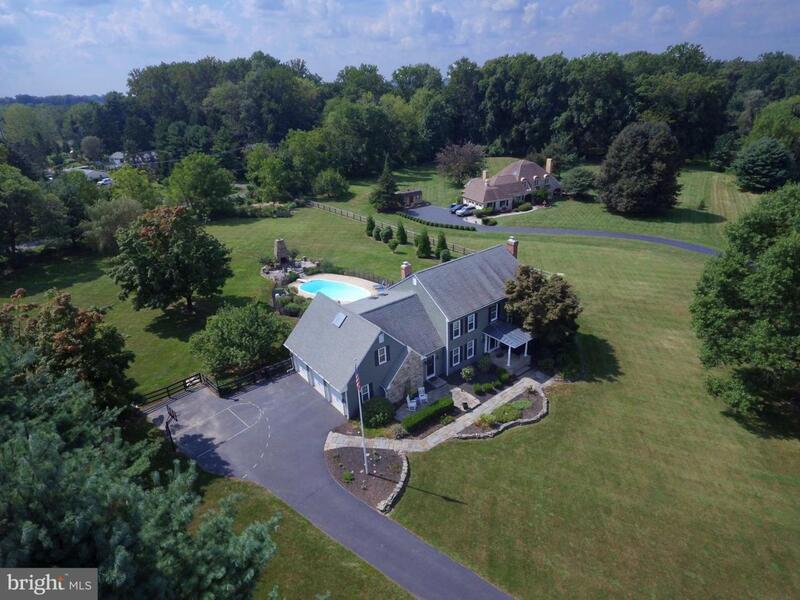 Gorgeous bath with stone walk-in shower, large sitting room/office and walk-in closet. Three ample size bedrooms and renovated hall bath complete the upper level. Outside is a personal oasis...bluestone walkways, EP Henry patio and stacked stone walls create numerous gathering areas. Whether relaxing in the shade under the awning, enjoying the sun by the sparkling pool or toasting marshmallows at sunset at the outdoor hearth, this is a backyard meant to be enjoyed. Convenient location for NJ or Philly commuting. Blue Ribbon New Hope Solebury School District. This home is truly move-in-ready. Unpack and enjoy.